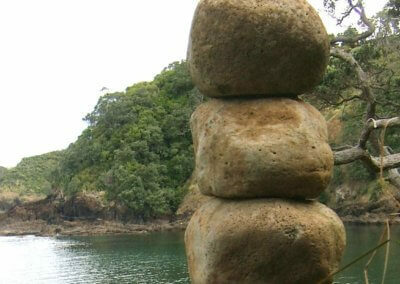 Two stone columns overlooking the cove. The larger column has 12 stones, each representing a month of the calendar year. 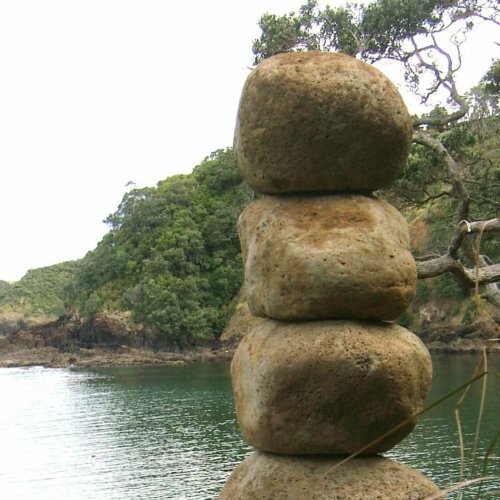 The smaller column of nine stones represents the gestation of life. The pillars are located around a circular area with a seat that represents a perfect quarter of the circle. Created for this site by Frank Newman.